Regardless of the employment area, having a couple of graphic design mockups for different occasions is always a good idea. A pair of the pre-made solutions in stock will definitely save your time and money in the run-up-to deadlines. use online resources such as SketchApp, GoMockingBird or Mockups.me with its 1-month trial. are affected by the human’s factor (the result might not meet your expectations, the web designer might not understand your requirements, etc.). Therefore, progressive and resourceful web developers created a universal solution that will facilitate and speed up the process of creating banners, flyers, promotions, business and invitation cards, or even paper coffee glasses. 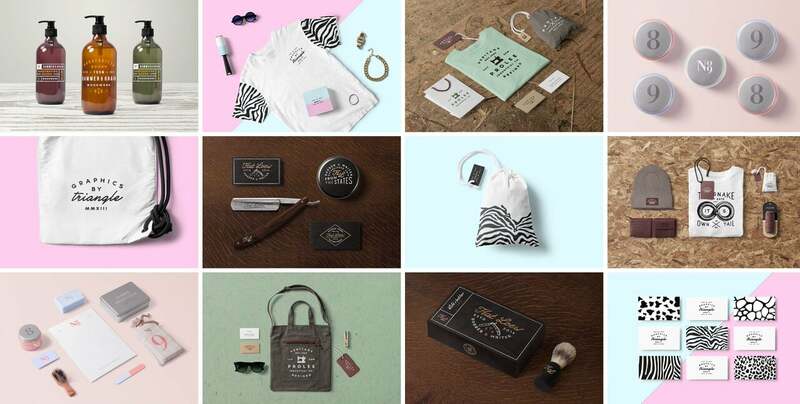 Creative mockup bundles contain different layouts that you can modify and use for different purposes. Using such pre-made solutions is cost-effective. For instance, MasterBundles regularly launches special offers and discounts up to 90%. 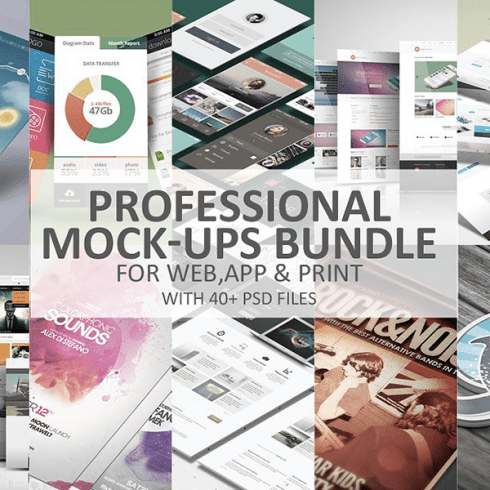 In the result, a huge pack of the best mockups with plenty of extra files can cost you as low as $10! By the way, if you keep up with the updates on the website, you might even find free design mockups. 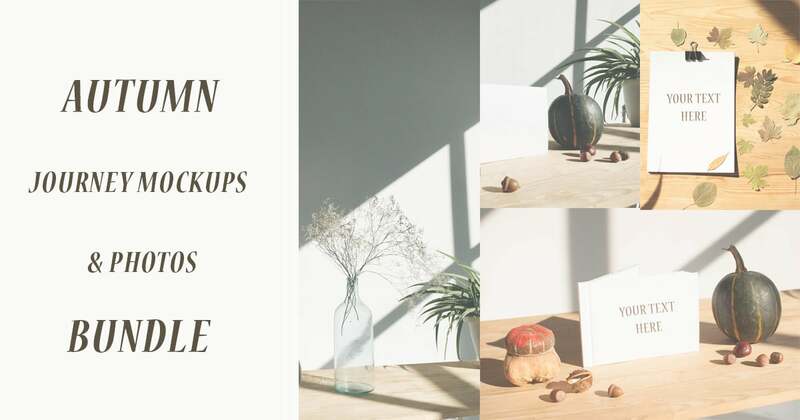 Along with the main product (the collection of mockups), the bundle usually contains additional items such as textures, background perspectives, shadows, and other supplementary products that would cost a lot if they sold separately. Therefore, using such bundles is not only convenient but financially reasonable. Besides the fact that the variety of bundles is really wide, they are customizable. It means that you can make changes to them until they become a perfect fit for your website, project, promotional campaign, event, etc. It’s possible to choose a color scheme, add or remove styling elements and change their size and position, add text, etc. So, the result will more likely meet your expectations. Even if you don’t like something, you will manage to make changes in a matter of minutes. In general, graphic mockups turn to be an affordable multi-functional solution for creating many kinds of designs. Modern technologies make it possible to create high-quality and customizable mockups. Thus, the results are competitive with those of the web design studios and professional web designers. 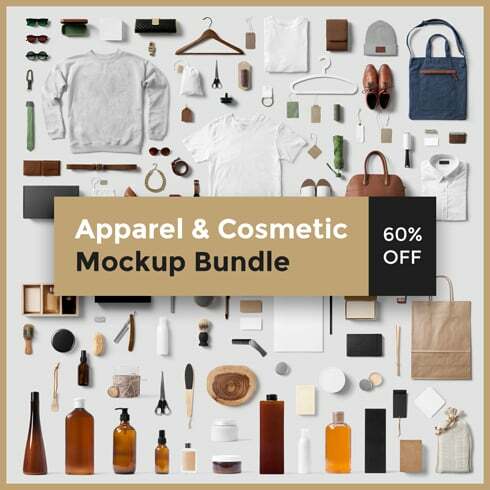 Now, it’s time to familiarize with the graphic design mockup bundles for different occasions. 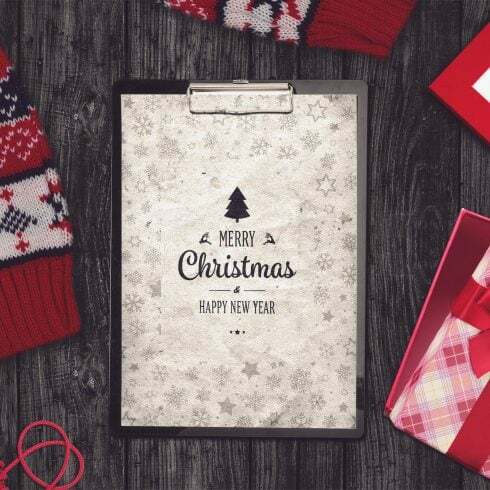 Here is a collection of 18 awesome mockup packages for business cards, coffee glasses, watches, signs, billboards, flags, Christmas notepads, and more. Without a doubt, Christmas atmosphere slipped through our collection, as well! 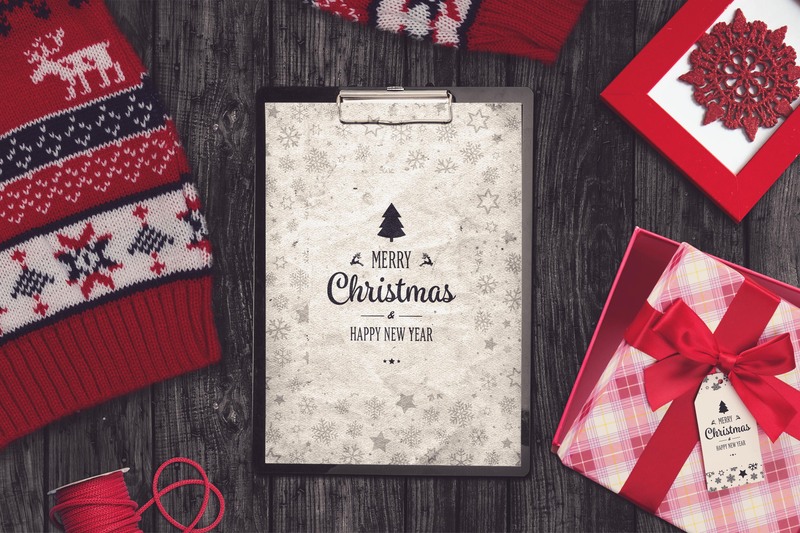 Here is a cool holiday mockup with 1 high-quality PSD file for a Christmas notepad. After purchase, you can work with layered and grouped PSD and use beautiful photo filters. The PSD file can be edited in Smart Objects easily. This mockup will give you an overall idea of how the Christmas notepad can look in a real life. Wow! Christmas notepad is such a nice gift for a friend or a colleague but a hand-made gift is even better. I will definitely purchase this mockup to see how my own design will look in real life. Thanks, guys. I have already purchased this mockup and must admit that the quality of the image is really good! Plus, I changed it a little bit in Photoshop (without any serious skills of using this software). Nice try, guys! This graphic design mockup is awesome indeed. The only thing I changed was the color scheme. I think that white and red colors represent Xmas spirit for real. Yay! I was looking for such mockup because I deal with stationery design and when I found this one, I was really satisfied. I can modify the layout in specialized software as I want. Thank you for this beautiful product. I really love this mockup because it is so easy to customize it. It has Smart Objects that are absolutely editable. If you can work with Photoshop, you will edit it without any issues. The first thing that I did, I studied the layers and realized how thoroughly they were created. Working and editing this mockup is a pleasure. Price-quality ratio is really reasonable. I didn’t know that it’s possible to purchase design products for such a low price. If you need a simple Christmas mockup for a notepad, this one will work. 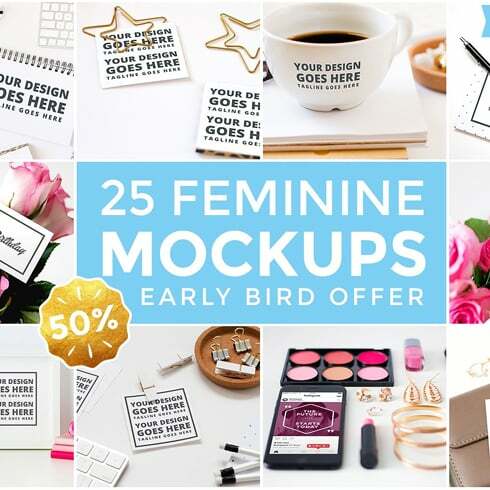 Ladies, this mockup with 25 layered PSD files was designed for you. All files include Smart Objects and can be edited in Photoshop within minutes. 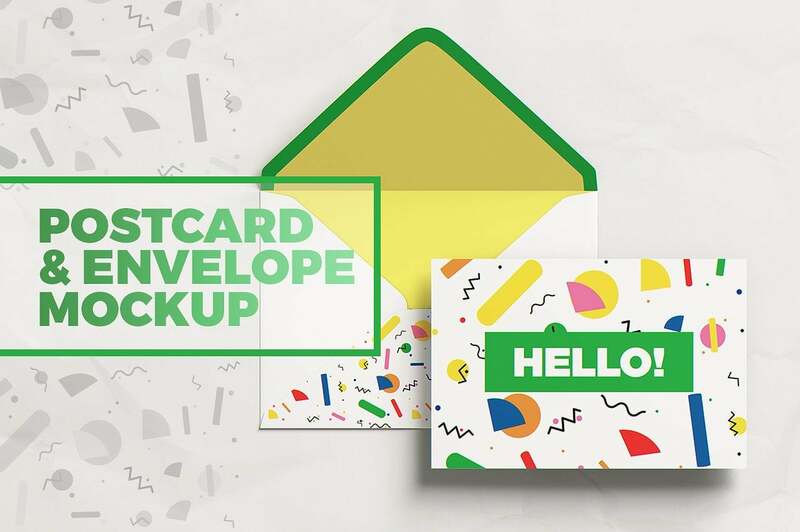 If you need to create business cards, invitations, sticky paper notes, notepads, designs for takeaway cups, it’s better to “test” the design with these graphic design mockup templates. Yeah, probably, professional web designers could do it better but look at the price. Where could you find such low prices? Plus, you can change it to your taste and use as many times as you want. Even a beginner will be able to use this mockup. Though, it has very clear and informative tutorials. Thanks, guys for a good job! Wow! I love this mockup. Good news is that even if you didn’t work with Photoshop that much, you will manage to edit the mockup and adjust it to your design. It is sooo easy to work with layers. This mockup is a must-have for web designers and I am so glad that one day I found out about your service. Such ready-made solutions save me, especially when there are several deadlines that are about to hit me! Yes, I definitely like it! I love this mockup because it has so many options for different sizes. Now, I can “test” the typography without wasting money on printing. I purchased this bundle once I saw this crazy discount and didn’t regret. I am a designer and this pre-made solution saves my time and gives me an overall idea about how my projects will look in real life. If you can work with Smart Objects and Layers, then you will definitely manage to create unique and creative designs! This gonna be a good Christmas gift for my girlfriend, isn’t it? Where can I get a detailed overview of the mockup? I needed to create a promotional brochure for my cosmetics store and decided to purchase this mockup to see how it will look. in the result, I changed the look of my brochure and it indeed looks better after changes. If someone doubts about the use of these “templates”, get rid of all doubts – they worth it. This product is definitely worth its price. Actually, when my friend recommended me this mockup (we both run a showroom), I didn’t believe that I can purchase something high-quality for 25 bucks but you guys convinced me that everything is possible. I liked the mockups for the T-shirts! Thank God I can use Photoshop because I wanted to change the font to print the mockup and see how the bag will look in real life. Still, even if you can’t, there is a detailed tutorial that covers almost all issues that can appear. Cool mockup for a super low price. As a web designer, I regularly face such products and most of them really don’t deserve their sky-high prices. This amazing mockup was designed to see how the billboards and banners will look on the streets. square prisma board (cropped and full views). In general, the package contains 11 static and 7 animated PSD files. You can change the look of the billboard by dragging and dropping different images, adding various styling elements, changing colors, backgrounds, etc. This bundle is suitable not for billboards only. You can use these PSD files to create a prototype of the online portfolio or a post for social networks. This mockup contains different sky backgrounds and variants of the terrain and I can check out how my future billboard will look in “real circumstances”. I’m definitely satisfied with the purchase. Everything is indeed customizable. If you used to work with Smart Objects, then you wouldn’t have any issues with editing the mockup. Seems like it is one of the most useful purchases lately. thank you, guys! Without a doubt, this mockup is worth your attention! All layers are clear and designed thoroughly. You can make any changes you want. Clear full-fledged solution to see how your design will look on a billboard. 5 stars! No headache anymore! My team of the web designers is pleased. The price is low but the opportunities are impressive (especially if you use additional software for web design). 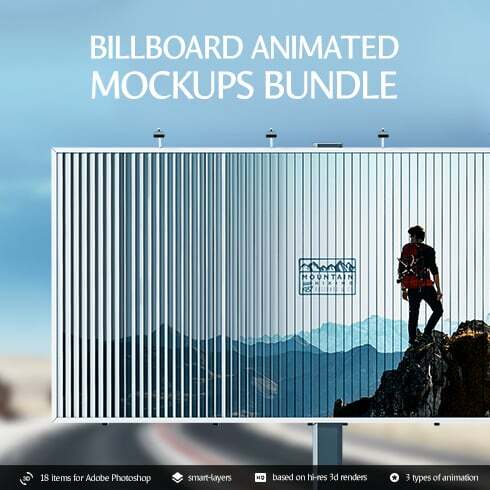 Thank you for the high-quality ready-made solution for billboard design! These PSD files can be applied for different purposes such as business or invitation cards, calendars, posters, etc. High-quality stock photos can be also used to make the design look unique. If you are an advanced Photoshop user, you will manage to modify the mockups to your taste easily. The cool thing about this bundle is the stock photos. I know many free services with photos with an extended license but there are so many issues before downloading them itself. I faced no problems during purchasing or unpacking the bundle and got high-resolution photos right away. Thanks! Though it’s Christmas already, I will purchase the bundle. I am a web designer and having such awesome ready-made solutions in stock is always good. This bundle is truly what I was looking for. High-quality photos and customizable mockup for the super affordable price! My friend recommended me this bundle but I can’t edit it in Photoshop and didn’t find the answer to my question in a video tutorial. Can anyone help me? I would rate it as 4/5 because I didn’t manage to edit each layer. Probably, you should try another software to solve the issue. I also had such problem with another mockup but once I upgraded the outdated version of the software and tried again, I managed to edit everything. Thanks for this colorful bundle! I liked the collection of the stock photos so much. Yeah, I also had a problem with an outdated Photoshop version and solved the problem once I updated it. This bundle is dedicated to all coffee-addicted people, who appreciate creative and original designs of the takeaway cups. If you are an owner of the coffee shop, then creating your own design and placing the name/logo of your shop/cafe is a good idea. a see-through inner part of the cup. The mockups were created for different cup sizes (8, 16, 20oz). In order to make the presentation of your brand even more effective, you can create GIF animations and videos with photorealistic 3D renders of a rotating cup for your website, social media account, or online portfolio. My paper cups have never used to look more appealing than now! When I tried different designs on the cups, I find out that the one that I didn’t even think will work good, turned to be the most suitable. Can you imagine it?? There are so many different designs for paper cups on the market that it’s really complicated to stand out. Therefore, when a designer brainstorms crazy or even ridiculous ideas, I prefer “testing” them” with the help of such mockups. This one grabbed my attention and, honestly, it is worth it! I appreciate the fact that you created designs for different sizes of the cup. It’s indeed handy. I like Master Bundles because I always find something worthy for the super low price. This time wasn’t an exception. As an owner of the small coffee shop, I want to convey a certain message and it is possible to do with such details as simple cups. Therefore, before printing new cups, I purchased this bundle and tested them. Looked really good. I am not a designer but even I managed to customize these templates in Photoshop. Good job, guys! Thank you for the great work and a low price (as always). Those, who deal with selling or promoting Apple products, can demonstrate the outstanding style of their company with the help of the original mockups for smartwatches and smartphones. It is possible to create your own design with the help of the customizable template. 6 stock photos with hands. 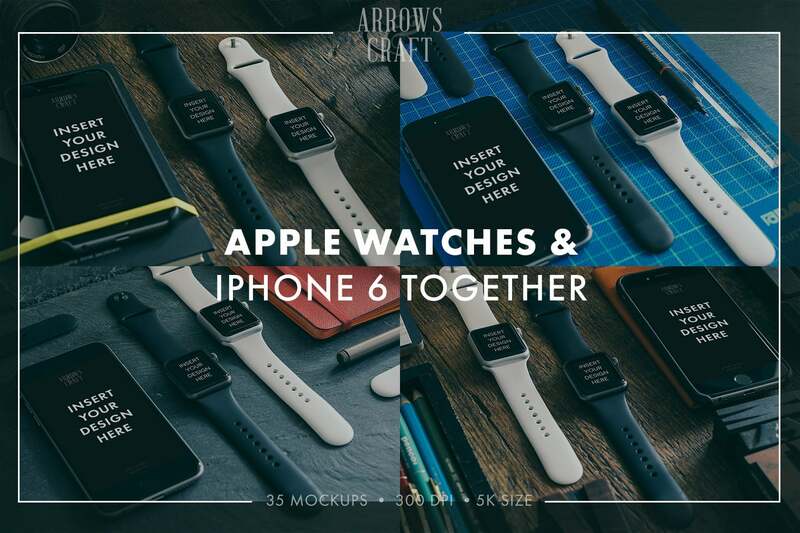 In this bundle, 27 mockups are compatible with black watches and 20 – with the white ones. 20 mockups are suitable for iPhone/iPad + Apple watches compositions. 23 templates have single watches on the photo while 12 of them include both black and white watches. The style is awesome. I like minimalist designs. Nothing showcases the product better than it worn by a person. Nice ideas, guys! Esto es perfecto para diferentes ocasiones! Vendo Apple Watch y necesito esto!!! Are there any free options for mockups for digital products? Are you planning to launch anything like this? Presentation of the design with the help of mockup is a good solution for me! Saves my time and helps to present a product for my team. I definitely like the price-quality ratio of this bundle. Taking into account the great number of features, I am ready to pay even more (joke:)). The mockup is indeed customizable. If you had ever worked with Smart Objects, then editing the design won’t be much of a deal. I have found out about your service recently when was looking for a mockup for my banner and already purchased a couple of beneficial ready-made solutions. 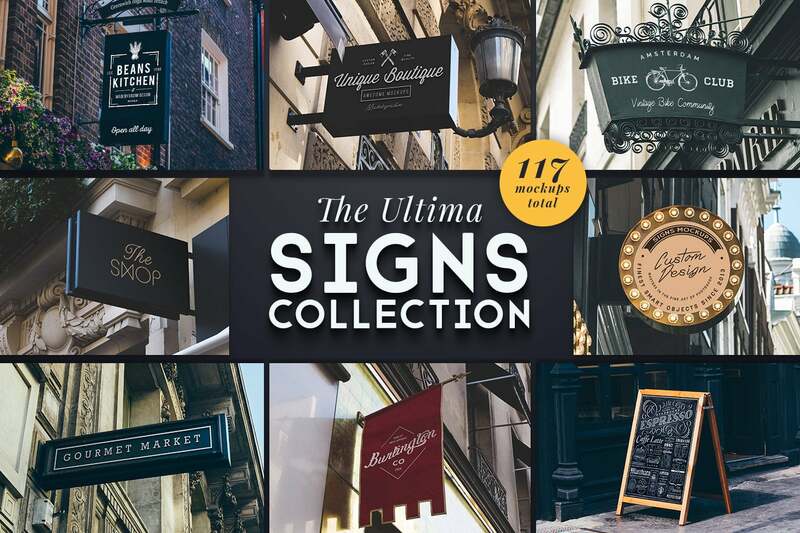 This is one of the biggest collection with hanging sign mockup bundles on the Internet! 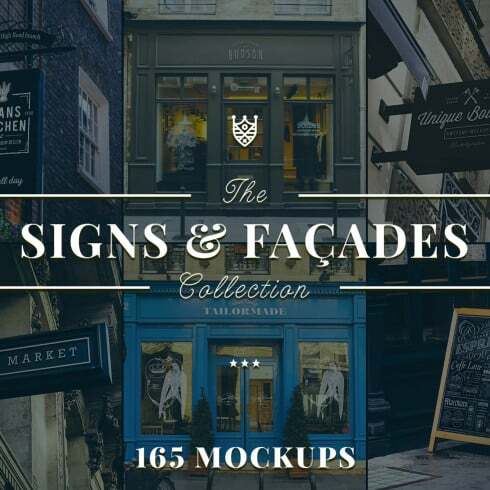 This bunch of stylish signs mockups will give you an exact idea of how the sign will look in real life. The mockups will be suitable for shop, restaurants, bars, and pubs signs, different types of boards and typography projects. As the product includes Smart Objects, you will manage to modify the sign and create the accurate analog of the sign easily. board or sandwich signs mockups. When I was looking for business sign mockup, I didn’t even realize that there are so many offers on the Internet but more than half of them is crap. Your bundle was exactly the one I was looking for. I hit this page randomly and have already added it to the bookmarks. As a designer, I often use different bundles with ready-made solutions. So, I guess it won’t be an exception. Smart Objects are a super cool thing. Working with them is a pleasure. This bundle helped me to optimize the working process and boost its efficiency. Recommend! The investments are not substantial but the result surprised me. Almost all elements of the mockup are customizable. Therefore, you can create your own design in a matter of minutes. Even if you don’t have a deep understanding of how Photoshop (or any other software) works, you will manage to do it due to the informative tutorials. 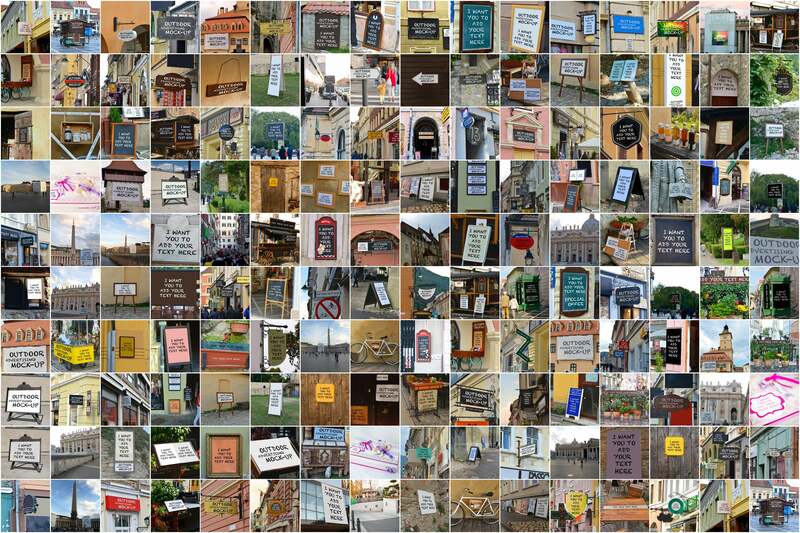 The number of variations of the street signs is really great! 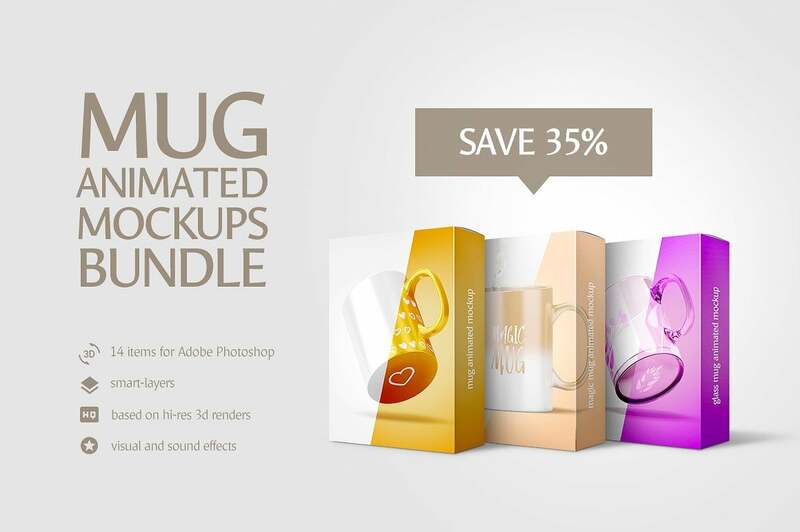 If you make the mugs look more attractive, then you will definitely like this bundle with mug mockups. All elements of the mug are customizable (mug body, handle, rim, bottom). Plus, you can change the background and the liquid color. As you see, the mockup includes designs for magic mugs that change their color with a change of temperature. If you can work with Smart Layers, then this option will be handy. I like the idea of using the bundles but I couldn’t even imagine that the price will be that low! Thank you guys, my web designers have been already used it! How can I change the font in Photoshop? Can I use any other software to edit mockups? This bundle will be useful for the beginners as well as for the experienced web designers to facilitate and speed up the working process. Nothing can be easier than working with Smart Objects. It’s cool that your mockups are absolutely customizable and allow make almost any changes! This bundle deserves 5 stars from me! Guys, believe me, I didn’t deal with web design and even didn’t edit my photos in Photoshop but several days ago I created my first design for a magic mug with this mockup! Video tutorials are super informative. Thank You! All PSD files are thoroughly layered and look super realistic. 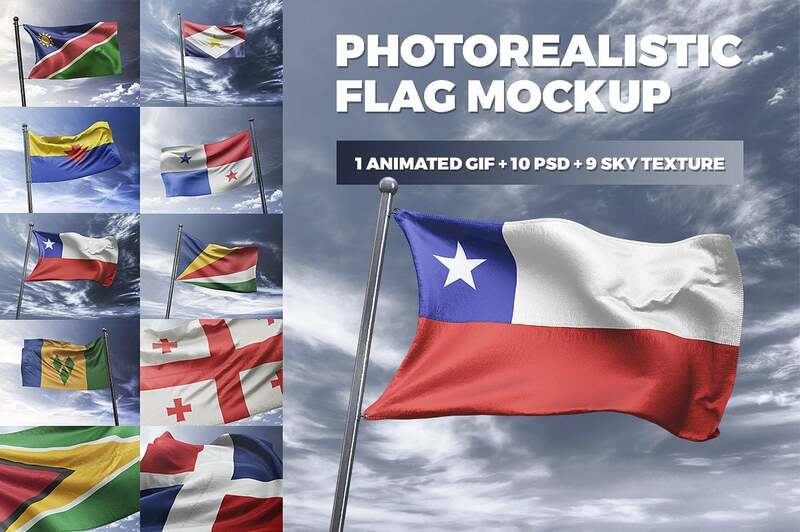 Due to its compatibility with Smart Objects, it is easy to edit the presentation of the flag in Photoshop. That’s exactly what I need! The designs are sooo realistic and adding different sky backgrounds was such a right idea. I understand nothing about web design but even I am satisfied with the result. Thanks to the informative tutorials, I managed to create a flag for my sports team. I tested several designs with the mockup and chose the one that was printed. Thank you for the clean layers that I can edit in the special software. They are absolutely compatible with new textures and backgrounds. Good job. I needed to create flags for my project at university but I wanted to find a cost-effective solution and here it is! Beautiful mockups that I could edit in Photoshop and adjust them to the thematics of my project. Awesome! As a rule, if you want to make any changes, you should have some knowledge of work with Smart Objects in Photoshop. Each layer has customizable graphic elements and fonts that you can apply to create a unique design. Eight bucks for such a cool bundle? You are crazy guys. I created Xmas envelopes using these mockups and am super satisfied with the result. I have a hand-made store with postcards. Lately, I needed a couple of hours to make the choice in a favor of certain design. Now, I need less time because I can see how the design will look in real life within minutes. Good job. No way! Why didn’t I find out about this bundle earlier? It would save so many sleepless nights and attempts! Those, who deal with the design of the postcards and envelopes, will definitely like the mockups. Working with them is easy even if you didn’t work with software or online resources for web designers before. It is possible to create unlimited variations of the hardcover – everything depends on your imagination and Photoshop using skills. Still, even if your knowledge is too modest, you can use a video tutorial that a bundle contains. 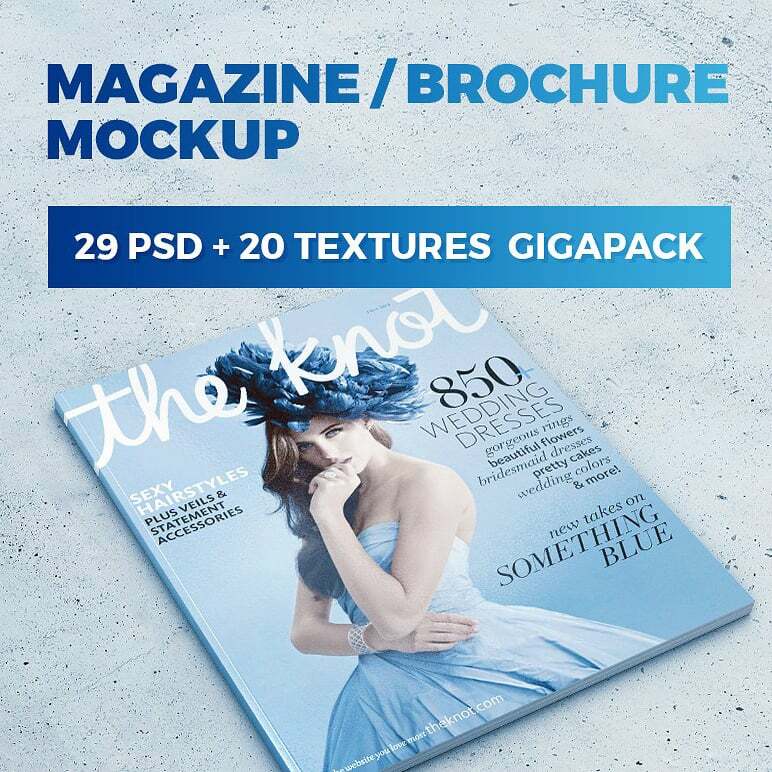 With the help of fully layered 29 PSD files and 20 background textures, it is possible to create a realistic presentation of the brochure or magazine within minutes. A photorealistic look of the magazine/brochure will give you an exact idea of how the printed version will look. Thank you for the affordable and high-quality product. This stuff speeded up the work in my office. When the deadline is about to hit us and we have no time to work with full-fledged professional software, we use such mockups and this one is one of our favorites. Without a doubt, this bundle is worth your attention. High-resolution files, clear layers, customizable elements, affordable price. There are so many advantages for sixteen bucks! By the way, I didn’t face any issues while unpacking. The PSD files seem to be so realistic so far. This mockup will help you to understand how certain design of the magazine, book, or any other typography will look. This is a very cost-effective way to test your designs I must admit. Such elements as textures, background, and text are absolutely editable. There are multiple sizes that allow creating a presentation of the different paper items from business cards to books and magazines. These mockups look soooo realistic. I couldn’t even imagine that it is possible for such a low price. The only issue is that I can’t add a new font style. If anyone also had this problem, help me. I purchased this mockup when I was creating my business cards. 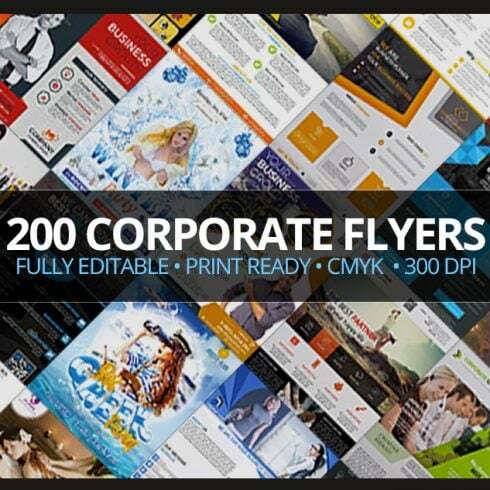 Actually, nothing can be more convenient than working with such templates – fast and easy. Plus, I am an advanced Photoshop user. So, customizing the mockup was a trifle for me. I love the wide choice of different mockups. 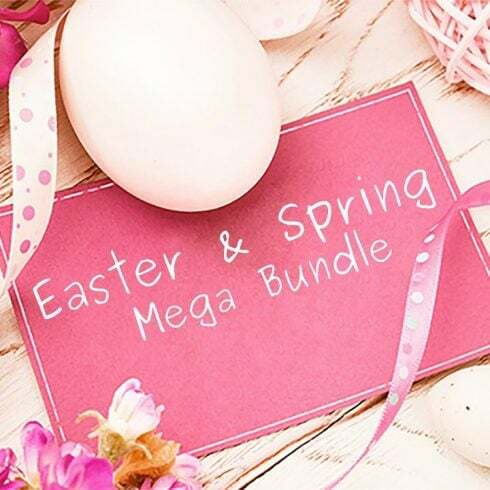 I purchased a bundle with plenty of ready-made solutions for different occasions. I agree about the wide choice of different templates. I don’t remember exactly when was the last time I applied to the designer. In addition, I develop very handy skills when working with specialized software. I didn’t realize how easy it is to create a design for a business card but this paper mockup bundle is something…. beyond my imagination. You, guys, did a great job! 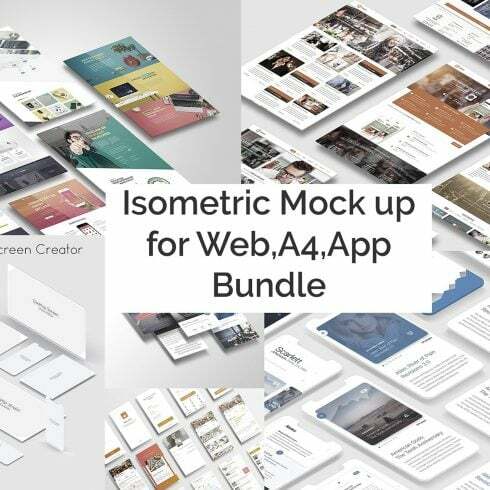 If you deal with digital products and projects, this bundle with the best mockups will showcase their presentation and highlight their key features. Good news is that the license is extended. 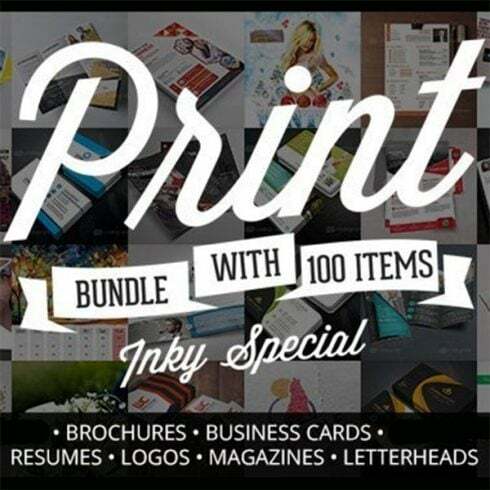 It means that you can use the bundle for commercial and personal projects with an unlimited number of prints. The mockups contain a bunch of single devices and responsive sets with editable backgrounds. You can showcase the products from different angles and change their colors. You can use 27+ pre-made 100% responsive sets. There is no issue in unpacking the mockup or customizing it. I work in Photoshop and until now experienced no problem with editing. All mockups contain Smart Objects and it’s possible to edit them even without substantial knowledge. Guys, thank you for this great job! It turned out to be one of the favorite bundles on your website. As a designer, I know the value of such ready-made solutions and this one is truly worthy. 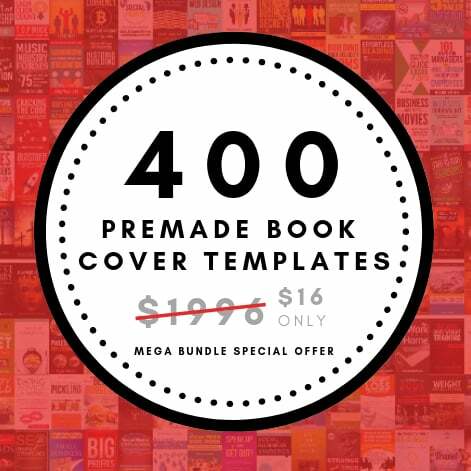 The number of mockups is indeed big and the price is super affordable. Recommend it. I like the fact that it’s possible to customize the mockups using almost every software I have the license for. Here is another set of street advertising mockups for different tastes and purposes. Even if you didn’t find anything suitable (though not finding anything suitable among 159 mockups is really complicated), you can create it! 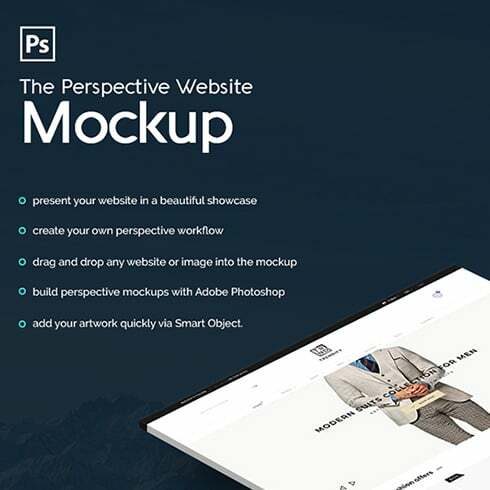 All mockups are editable – you can make almost any changes in Photoshop. More than 150 opportunities to showcase your street advertising are available for an affordable price! Creating advertising is a costly process because it might not work for a certain area (wrong sizes, proportions, background, color, font, etc.). Therefore, I was in a search of the way to test it and this bundle is exactly what I need! So many opportunities (especially if you have some idea about how specialized software works). Wow! So many different mockups for such an affordable price! I like it. As a designer, I often try to facilitate the process of creating certain typography or project. Mockups are a great companion in this sense. This one supplemented my collection of the ready-made solutions that I can reach in a matter of a minute and create a simple design. Guys, I am really thankful for this bundle because I deal with different outdoor advertising and signs and sometimes it is really useful to check out how the design will look in a certain environment. This is one of your best bundles. I use it regularly! The quality of the PSD files surprised me. Still, I have some issues with editing in Photoshop. Could someone help me? 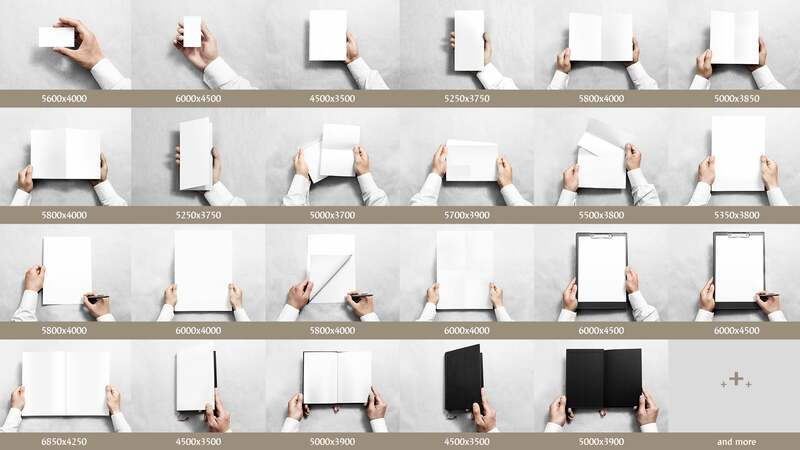 When the client or an investor asks for a presentation of the upcoming product, it’s crucial to show the mockup that maximally meets the reality. Fortunately, this bundle is what you need if you deal with Apple devices. 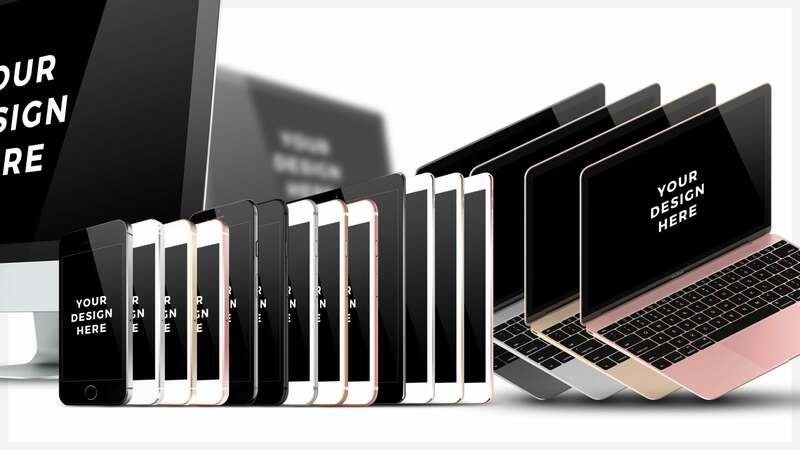 iPhone, iPad, iMac, MacBook Pro, Watch – 40. 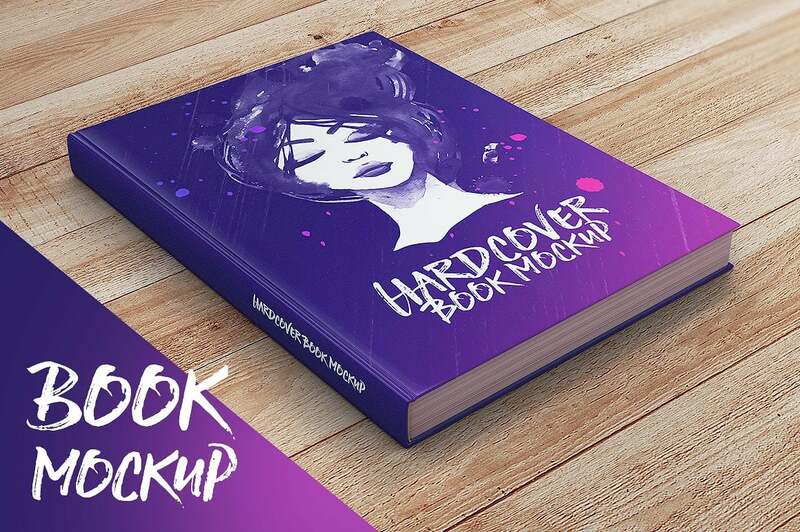 In addition, you get 20 layered PSD book mockups. Wanna speed up the process of creating a design for digitals? Then you definitely need this bundle! I recommend. 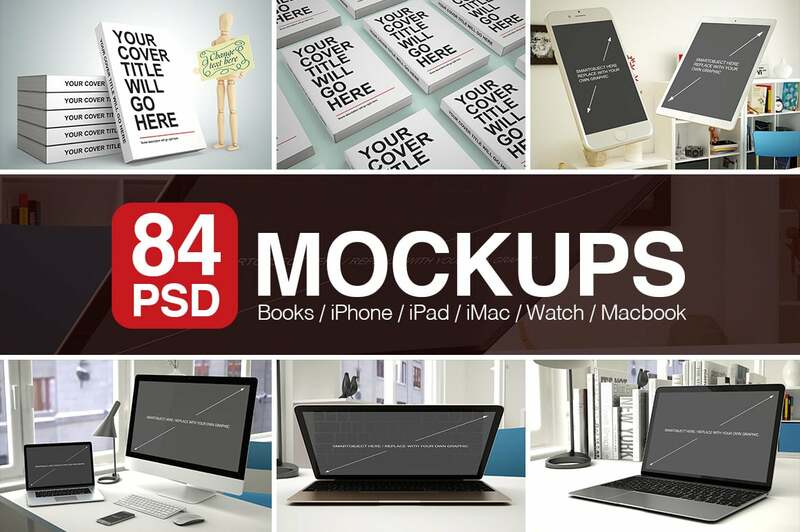 Thirty bucks for more than 80 mockups is such a beneficial offer! Plus, I was surprised by the quality of the PSD files. They all are customizable and compatible with other specialized software. Love the quality of the images. Even without substantial knowledge of web design, I managed to create my first one for my store with digital devices. I deal with Apple devices and need to promote my business with brochures. Furthermore, recently, I’ve decided to create a bunch of business cards and found out about your company. I have already purchased two products and am satisfied with the result completely. Too sweet to ignore this bundle! 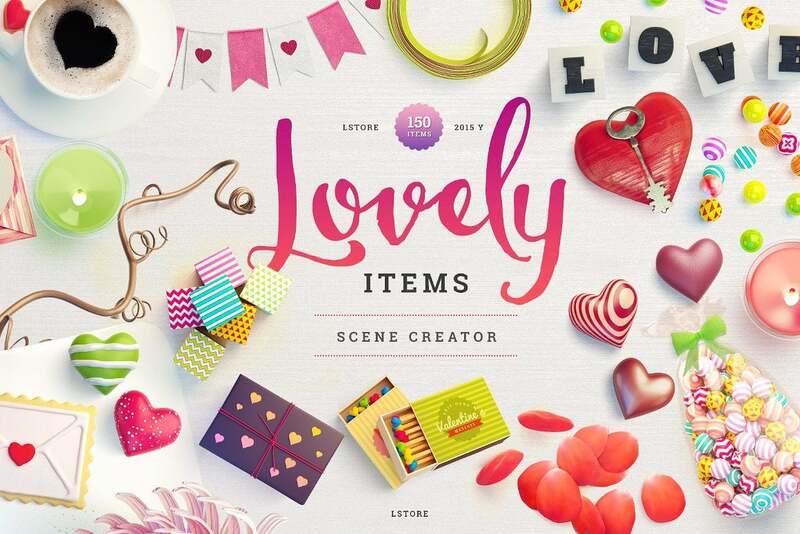 160+ cute items to create different typography designs were created by the talented vendor for MasterBundles marketplace. As you see, the toolkit is rich and powerful, indeed. It contains so many elements that it is possible to create a unique and beautiful typography project presentation in a matter of minutes! I decided to purchase this bundle even though I didn’t really need it. Love Master Bundles! Creating and testing designs with your bundles, guys, is very easy and fast. My wife asked to purchase something cute for her invitations and I decided to pick up this bundle. Everyone is satisfied. Once you purchase this bundle, you can customize it to your taste and create more creative and unique designs. If you didn’t work with special software, there are informative video tutorials inside. The mockup was made up in the best traditions of the web design. I am sure it already helped dozens of people to speed up the creation process of different designs as well as it helped me. I didn’t regret about the purchase. The price-quality ratio is very reasonable. A good idea for cute postcards. This cutie was the last item in this collection but new offers “arrive” on the website regularly. By the way, sometimes it is even possible to find some free mockups for graphic designers and simply download them on your device!